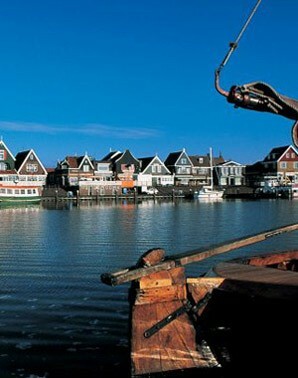 Marken is a former fishing village, and a wonderful attraction for a day trip. 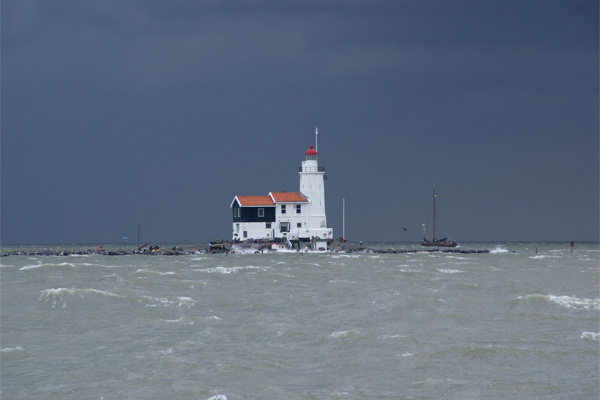 The star attraction on this peninsula is Het Paard van Marken (The Marken Horse); not a noble steed but a beautiful lighthouse! 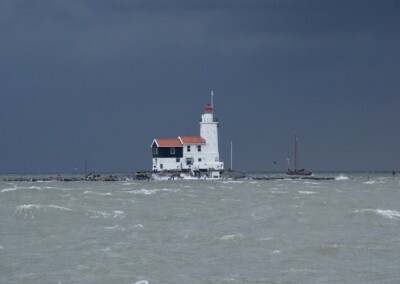 Her 16 metres tower above the former island and she draws the attention of ships far and wide, as well as visitors. 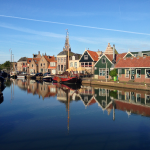 Egasail organises sailing trips from her homeport Monnickendam, and Marken is one of our top destinations. 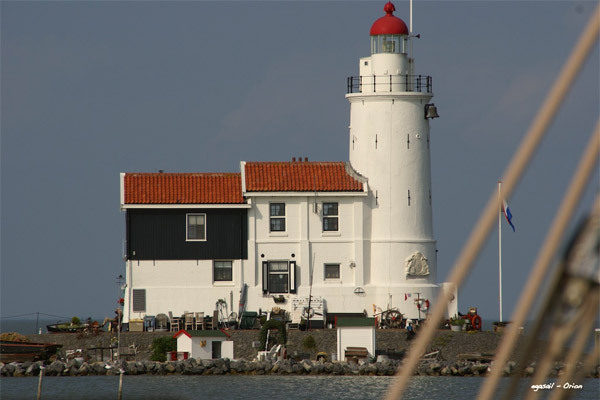 Our Marken Lighthouse arrangements include a sailing trip to Marken and back, across the Markermeer with your friends and family or colleagues, and an excursion to the lighthouse. There are two options to choose from, the Normal or the Deluxe arrangement. 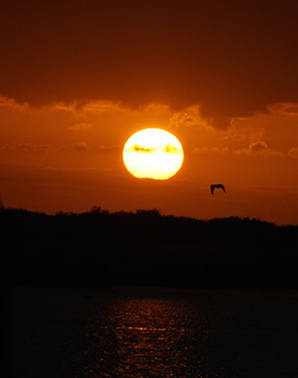 You can also book a two-hour extension with barbecue dinner. Were you planning to visit the Marken lighthouse with your friends and family or colleagues? 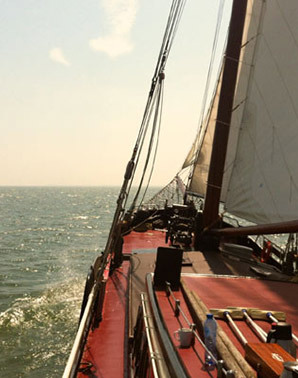 A sailing trip with the Orion will be the perfect incentive to do so. Below are our group arrangements. From 10:00 to 17:00. 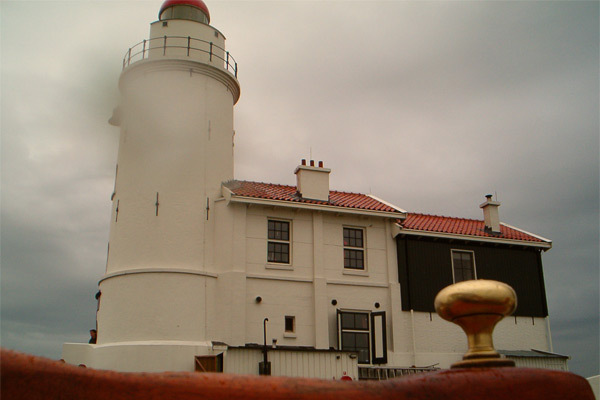 Prices are per person and include the ship’s rent, crew, drinks, lunch and an excursion to the lighthouse. From 10:00 to 19:00. 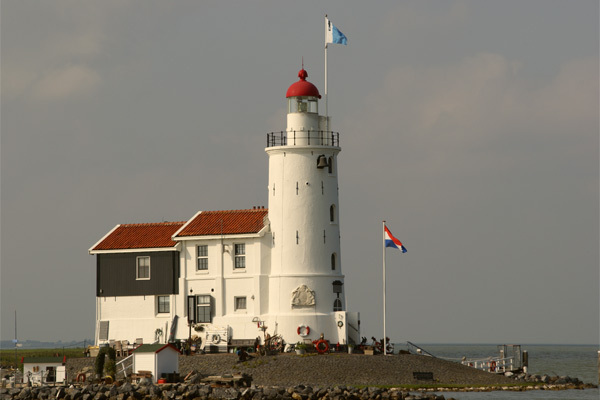 Prices are per person and include the ship’s rent, crew, drinks, lunch, a guided tour on Marken, excursion to the lighthouse and extensive barbecue dinner. From 10:00 to 17:00. Prices are per person and include the ship’s rent, crew, drinks, pastry, lunch, cheese and fish snacks and a visit to the lighthouse. From 10:00 to 19:00. 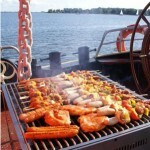 Prices are per person and include the ship’s rent, crew, drinks, pastry, extensive ship’s lunch, a visit to the lighthouse, cheese and fish snacks and an extensive barbecue dinner. 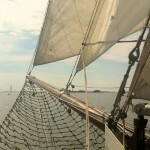 The Orion is an excellent ship for both interested beginners and experienced sailors: it is always possible to lend a helping hand or to get acquainted with the principles of sailing under supervision. 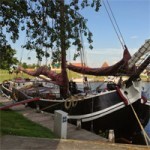 We embark around 10 in the old harbour of Monnickendam. Before setting sail, we enjoy a cup of coffee and some delicious pastry. We reach our destination around 13:00 and start our excursion to the impressive Marken lighthouse. A ship’s lunch is served on board after the tour, during which we can swap tales about the history of the lighthouse and everything else we’ve seen in Marken. Delicious drinks and snacks are served on the way back while we enjoy the beautiful views. 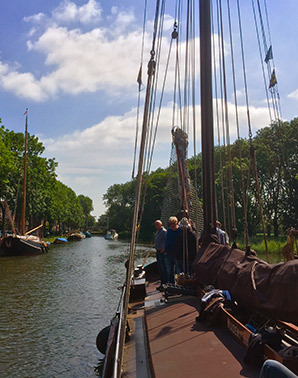 We arrive back in Monnickendam harbour in the late afternoon.